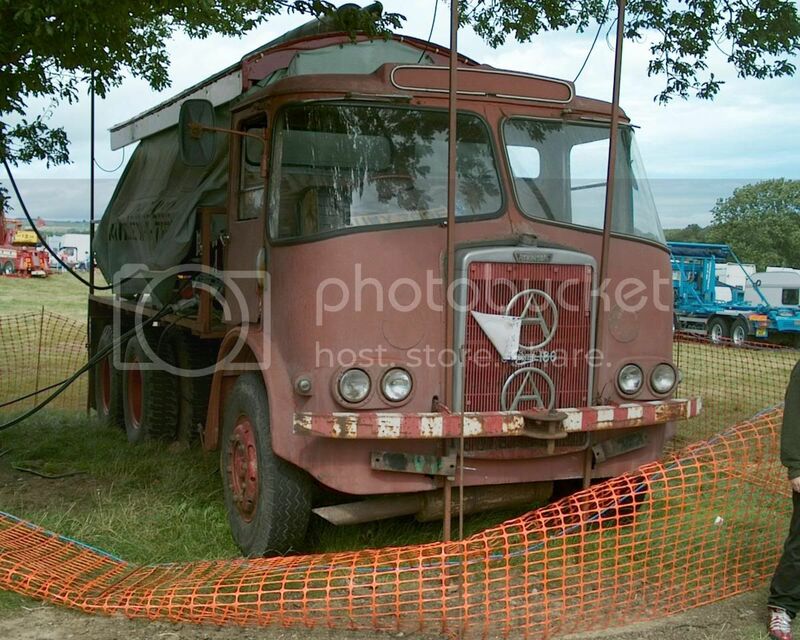 Travelling showmen have a fascinating collection of old rammel so I thought I'd share a few here. 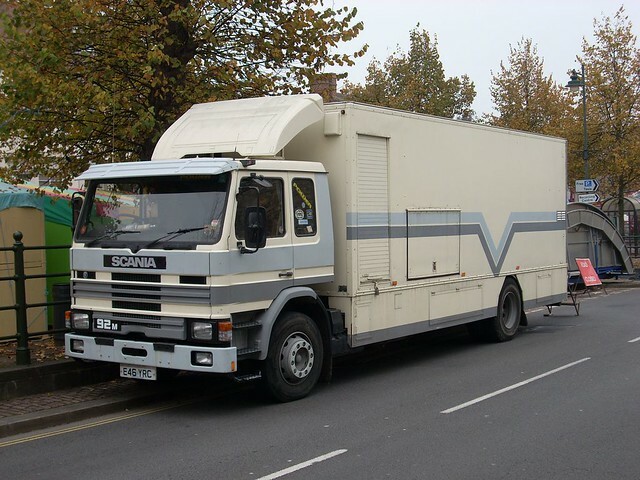 80s/90s Fodens and ERFs are ten a penny but there's a load of even older stuff too - these things are often not what they seem as showmen have a habit of rebuilding their lorries. How has this not rotted away long ago? Looks like the RoadRunner owner has 'modernised' his by spraying over that lower window on the (nearside) front! 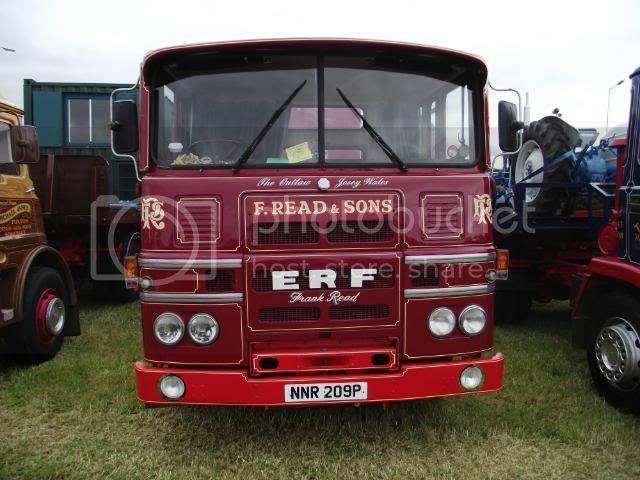 ERF is an oddity alright and has tubeless front rims, ditto the DAF wrecker with what looks like super single fronts. 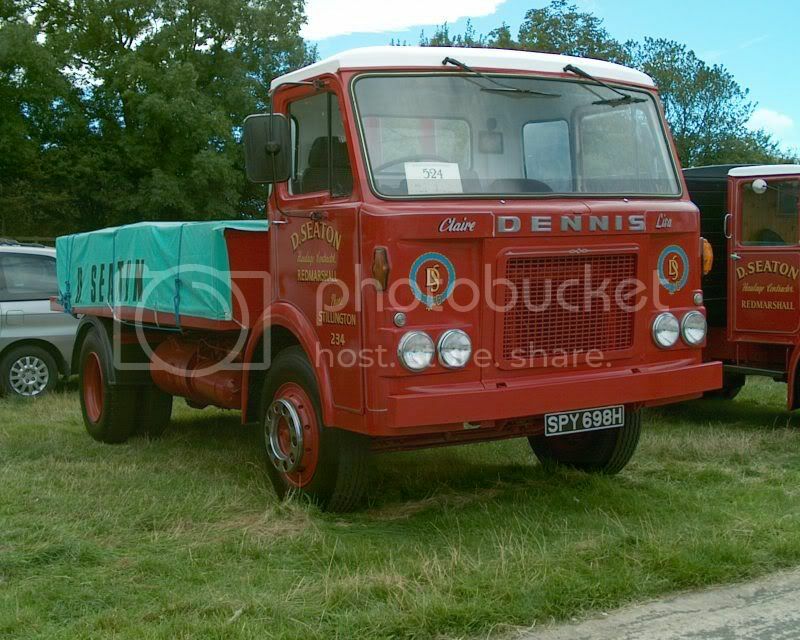 DAF looks quite familiar, at least the body type and reg number does, wonder if it's an ex-Crosville wrecker as the reg. number (CA) is local. 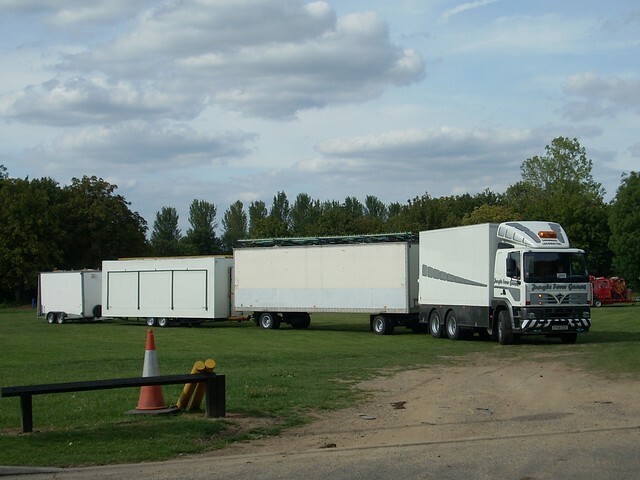 I see your 2 trailers and raise you 3. All legal under showman's special classification, I can assure you. Children today ! Sheeesh - whats wrong with rolling down a hill in an old oil drum? 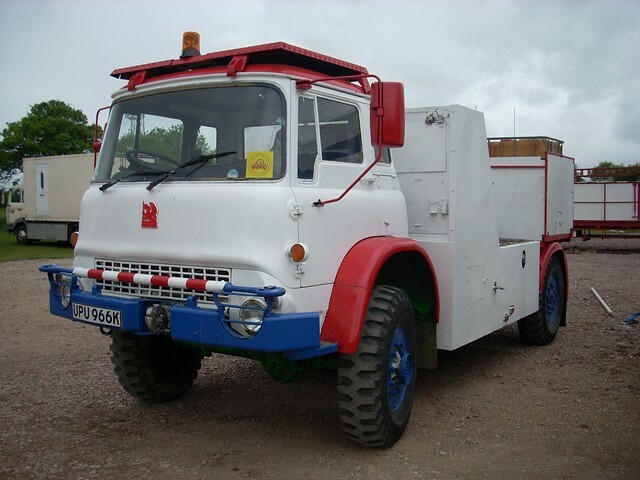 On my 'must own one day' list an old Sed Atk, Foden or ERF features highly. 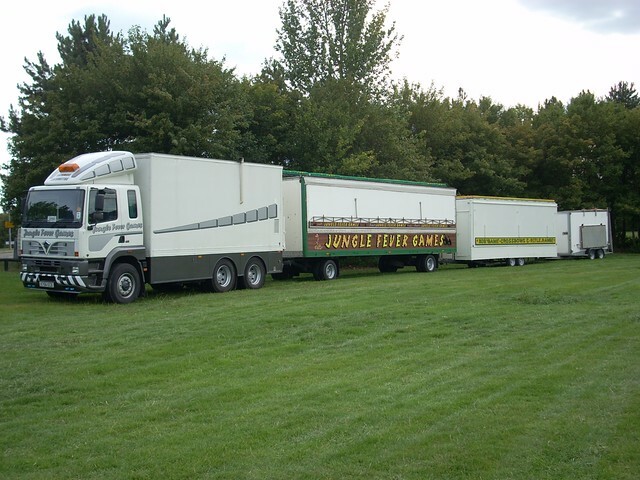 Shouldn't be too hard to remove the fifth wheel, downrate it to 7.5 tonnes and then apply for showman's licence? 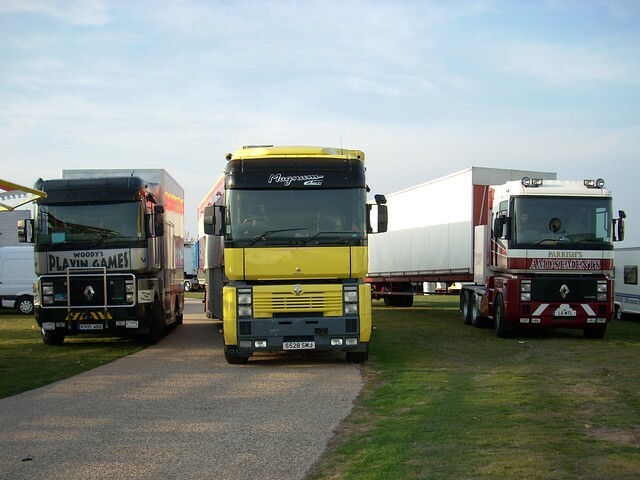 No need to remove 5th wheel. 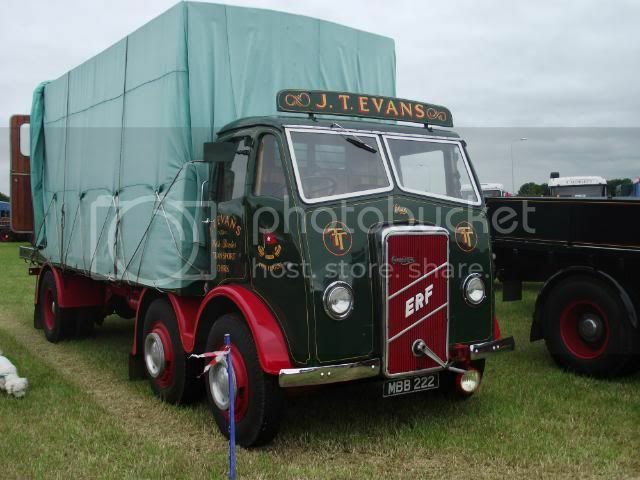 EFE have done a model of this ERF. The Atki looks proper shite but I bet it still runs well. Glad you like - I have a load more but don't want to overload you with them all at once. 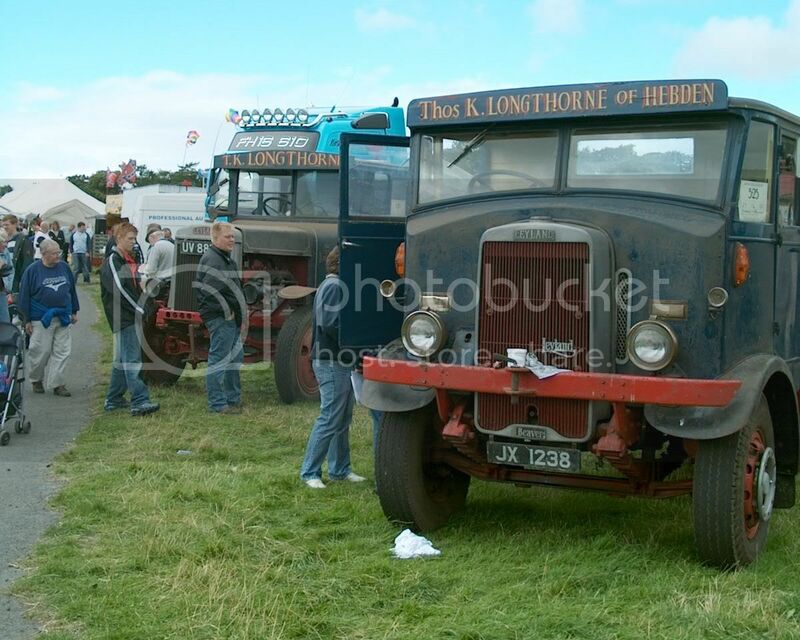 I love old trucks, Some relly nice ones here too. 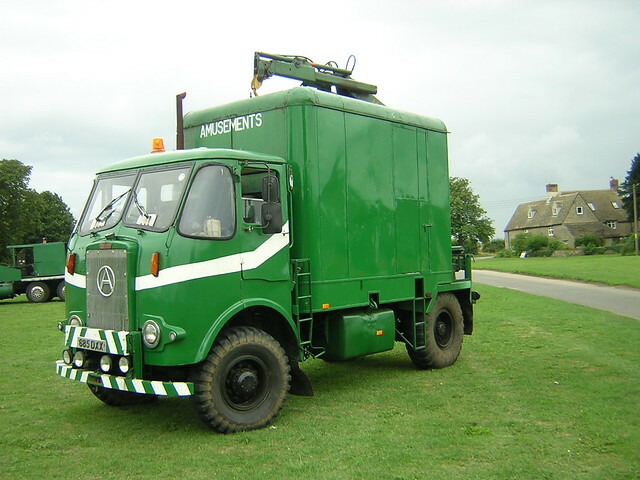 The AEC/Leyland ergo is one of my favs, I will own one one day! 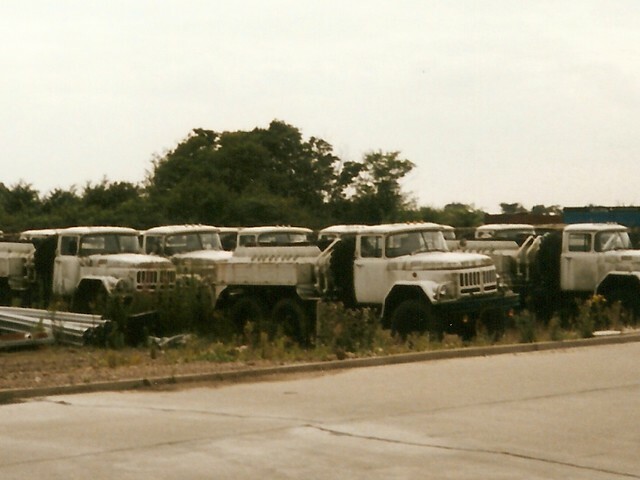 Theres a couple of yards not far from me with loads of old trucks in, rotting away. They seem to have everything from the 50s onwards and a few cars laying around too. 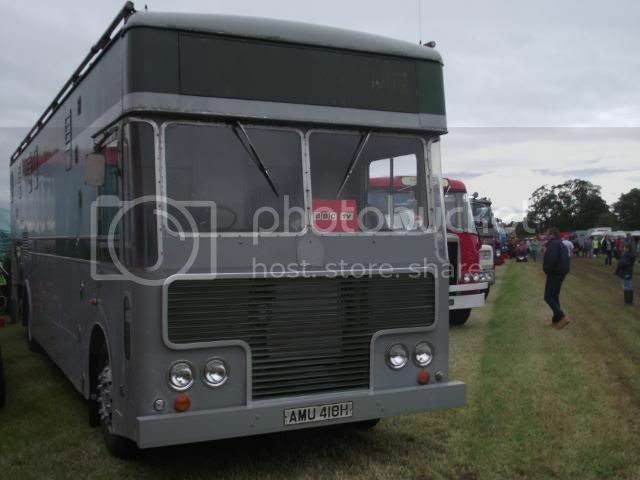 Theres an AEC ergo flatbed, and an ex british rail Leyland FG mobile workshop in there visable from the road. 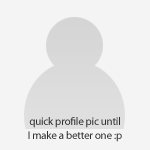 Id get some pics but I dont think they are the sort of people that appreciate people hanging around or bothering them! 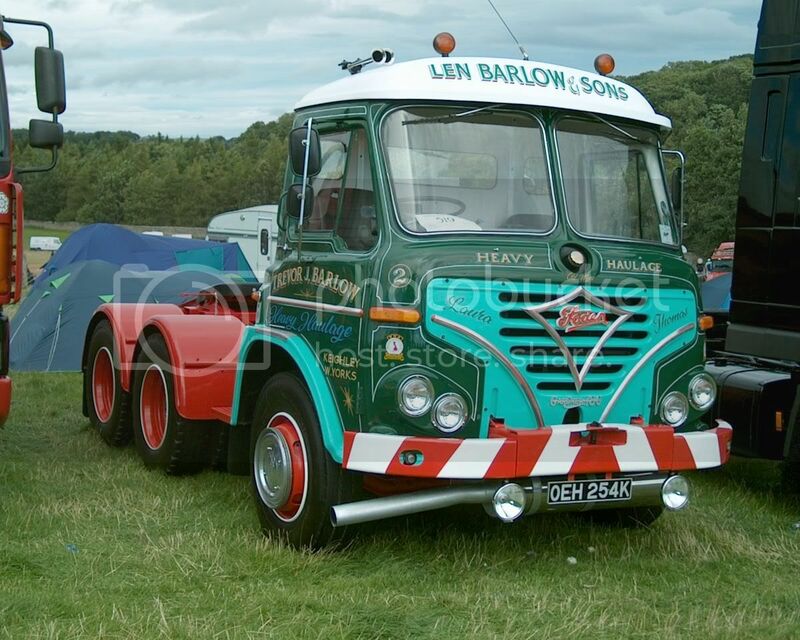 Some proper class wagons there. 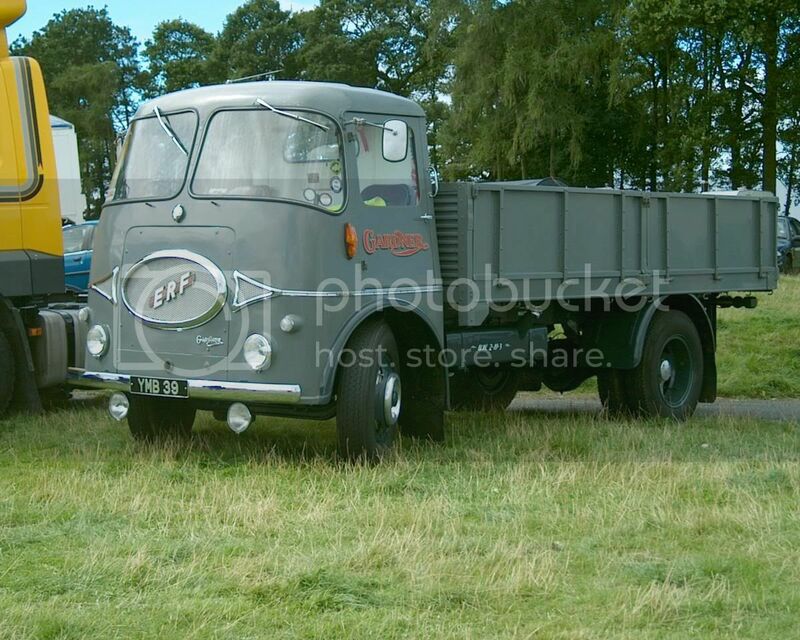 I love the DAF wrecker. 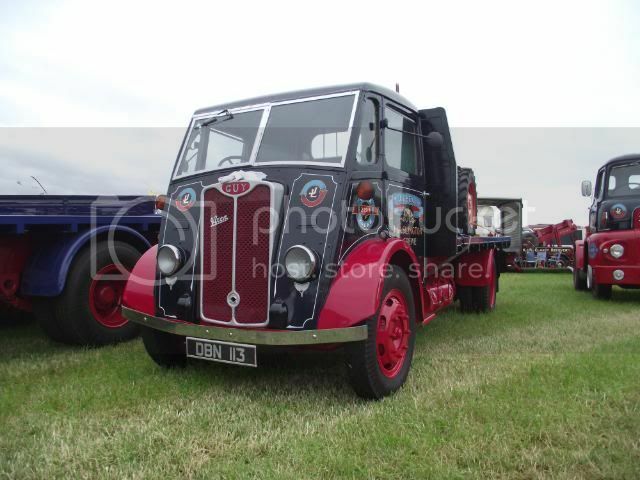 Now a rare machine. 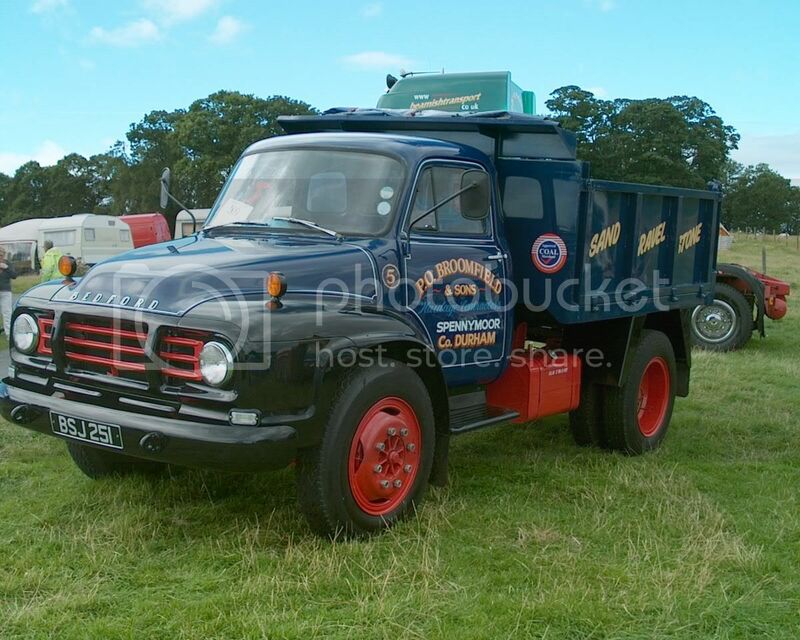 The Gardner 8 pot Erf is a thing to behold too! 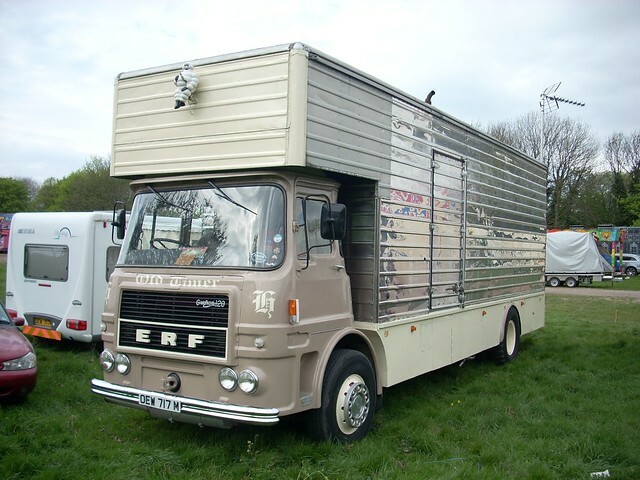 The other ERF you were asking about is an lv. 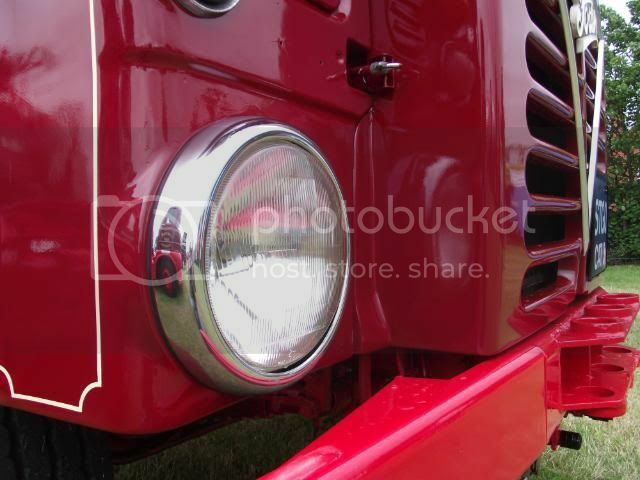 It has the later grilled, but you can tell its still an lv due to the plain panel above the bumper. 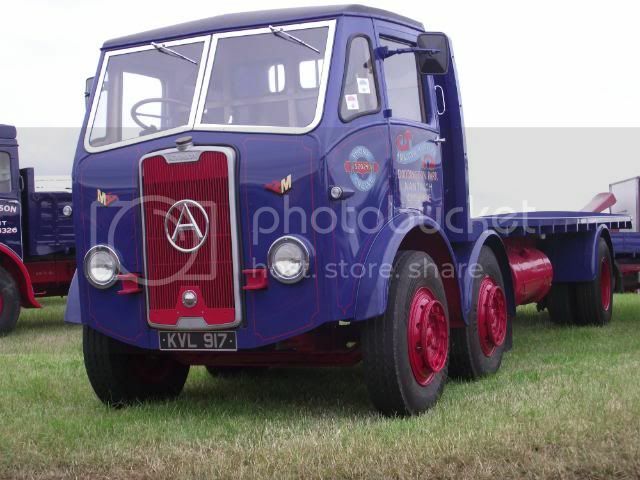 The A series was only available in tractor form and had the set back front axle. 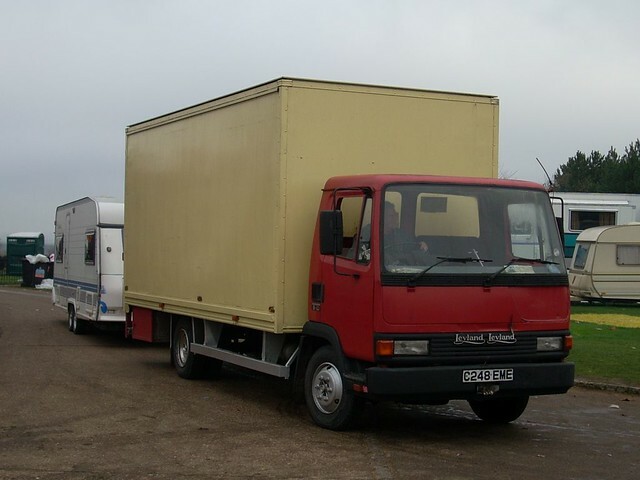 It was developed to take advantage of the higher weight limits being introduced at the time. 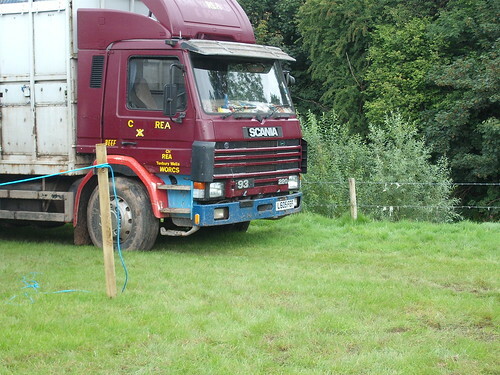 Away from the fairgrounds, one of my favourites is this 1994 Scania 93 cattle transporter that I still see from time to time carrying Herefords around Worcestershire. 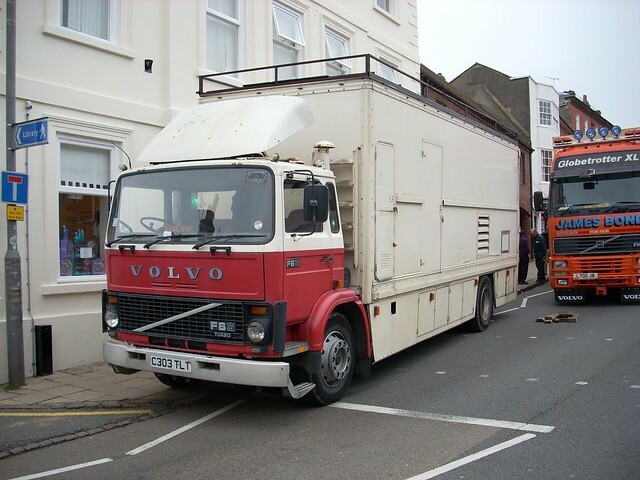 That lovely little ERF LK44G (YMB39) was used until comparatively recently (does anyone know when?) 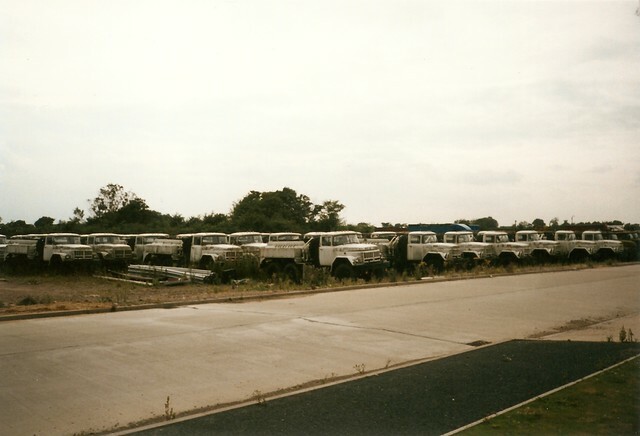 by Gardners for delivering spare parts to their dealers. 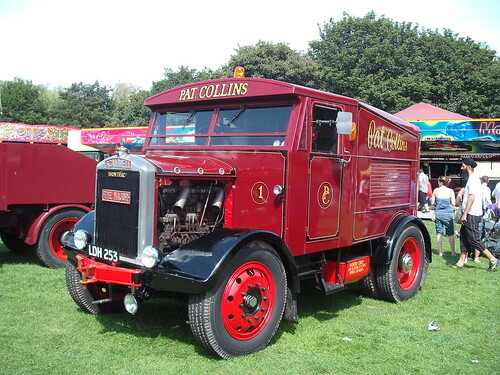 I would see it from time to time trundling up or down the M6, so it is nice, but not surprising to know that it has been preserved. 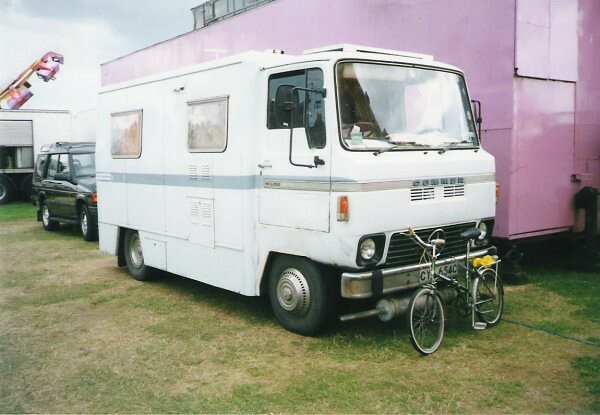 ^^^I still drive an old Scanny like that now and again! I want to take it home with me! Those Showtracs are worth Ã‚Â£Ã‚Â£Ã‚Â£. 18 were built and 17 survive, the guy who scrapped the other one must be kicking himself. Hard. What the hell is this? 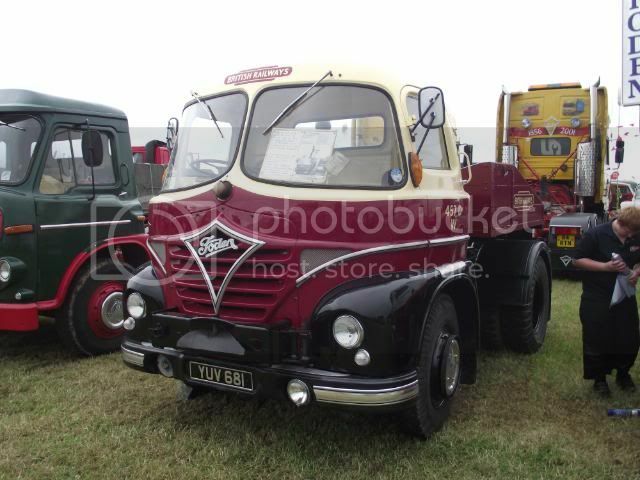 Some kind of Commer? An AWD that hasn't crumbled to dust! That's all for now but there are more to come. 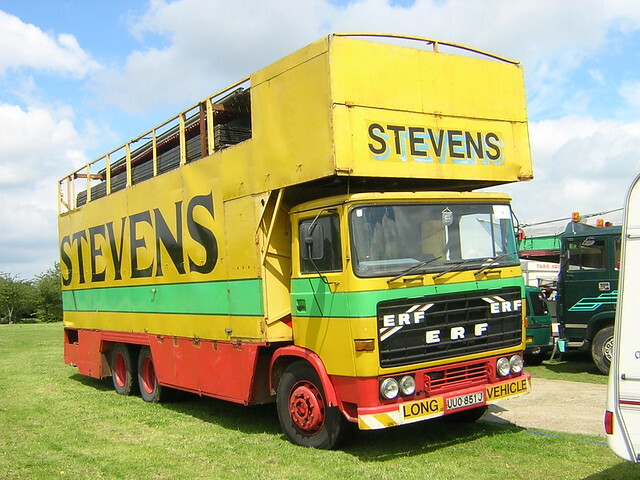 Our mate moves us about with his twin steer ERF C series. 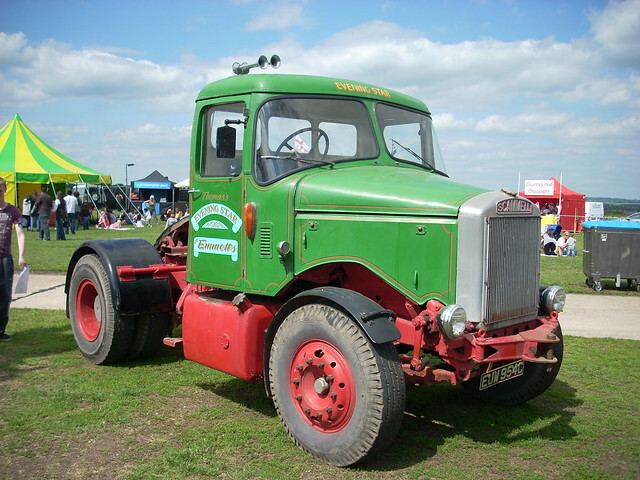 Cummins lump with a Fuller gearbox. 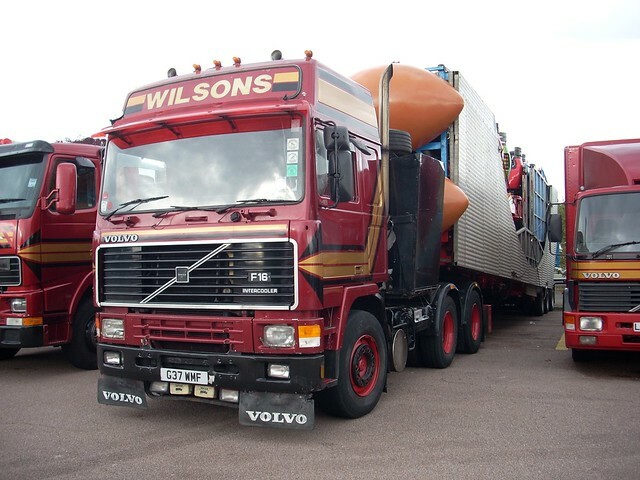 Taxed as private HGV and no speed limiter Good fun overtaking the supermarket wagons on the A1. 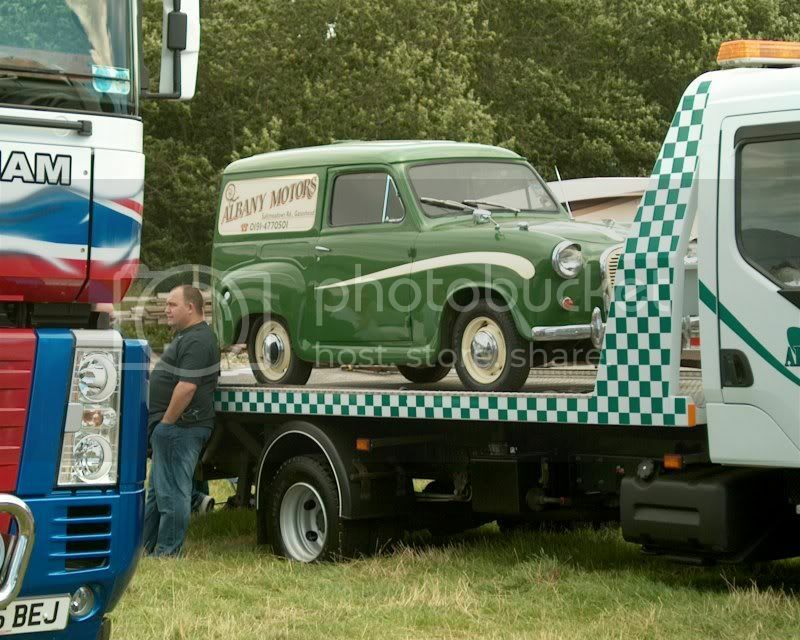 Here I am getting loaded up after a breakdown!! AA aren't much cop. 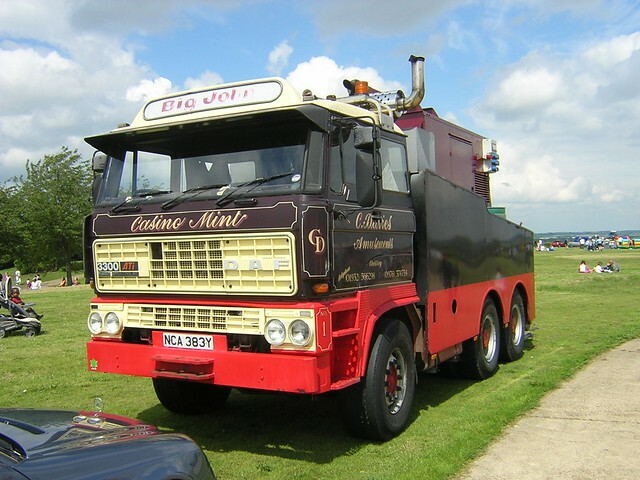 My friend Paul uses this Borderer to move his engines about, his late dad used to restore Atkis and his mum still does a lot with the owners club. 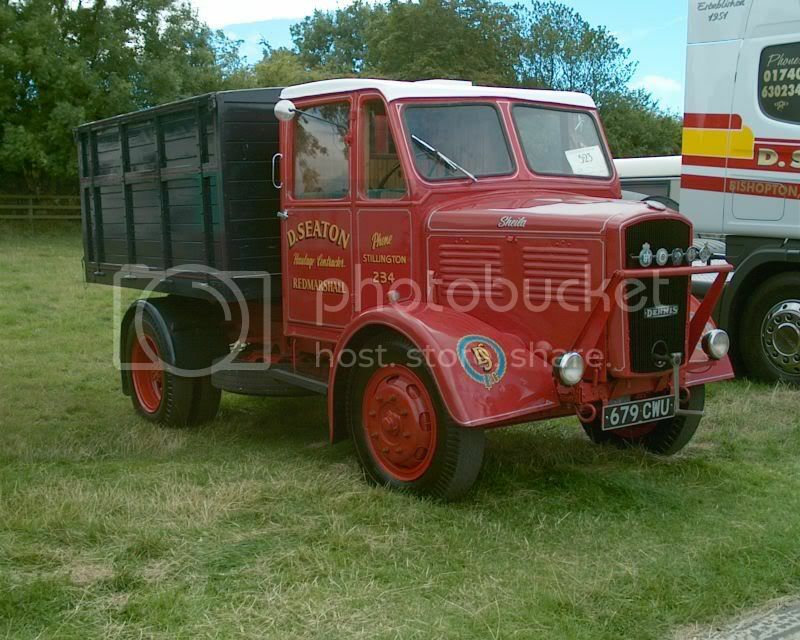 This is a great old wagon, we had it and the engine at our wedding. Here's a few more steam rigs. 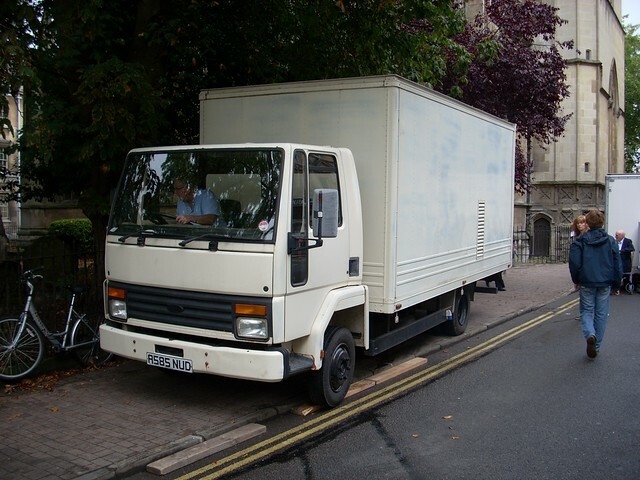 ERFs are popular as they are mega simple, cheap to buy, not too terrible on fuel and with the plastic fantastic cab they don't mind standing out all winter. 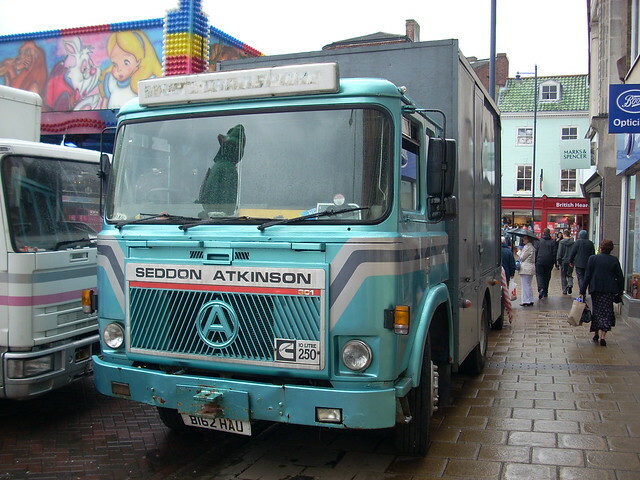 You do see quite a few old Atkinsons about though. 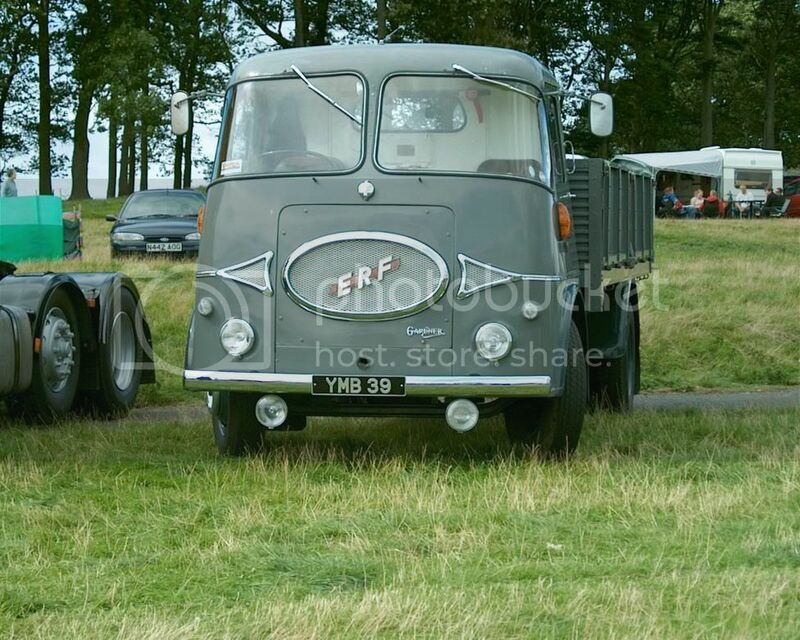 Finally, ANY1 WANT A ERF? I stumbled on it by chance when on a job in Maidenhead. 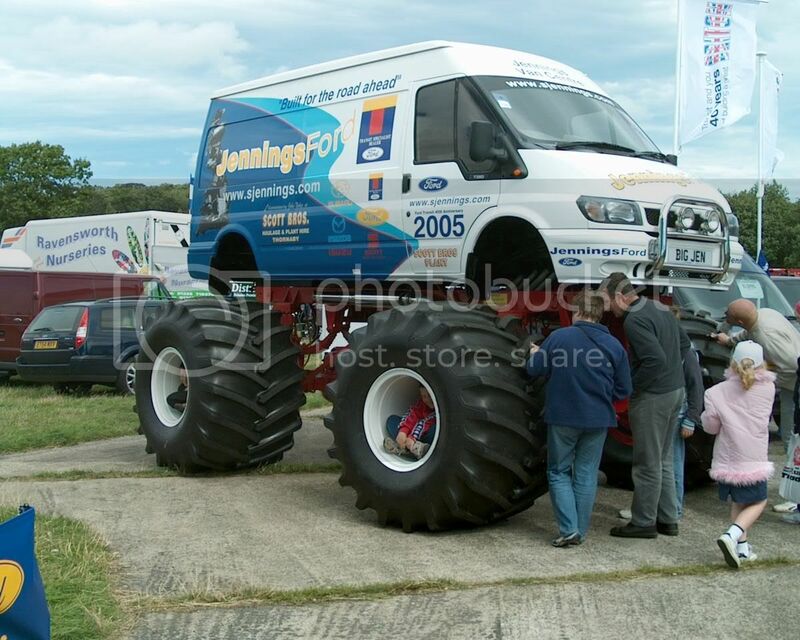 It's a B series with a Cummins 14 litre (Powah) and a 9 speed Fuller. 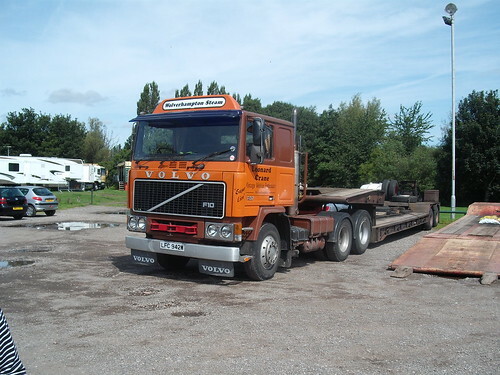 Up for grabs at around Ã‚Â£1500 without the crane... no test on it or owt as it's been used for recovery. and How much does it hurt when you forget its there and bang your shin on it. 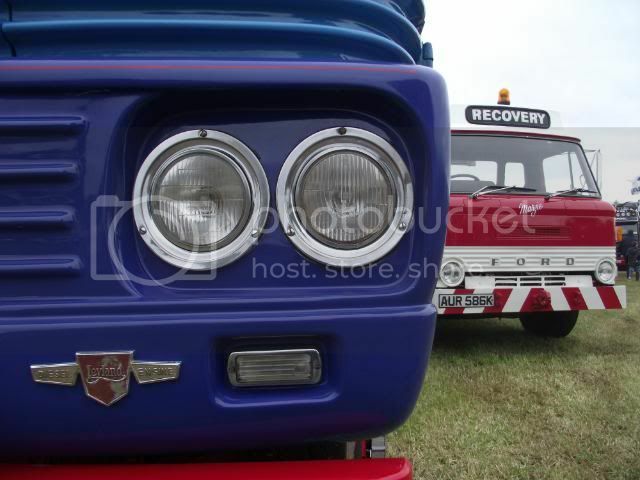 Hey, Mr Scruff, any idea what that ERF would want for an MOT at all? Cheers. 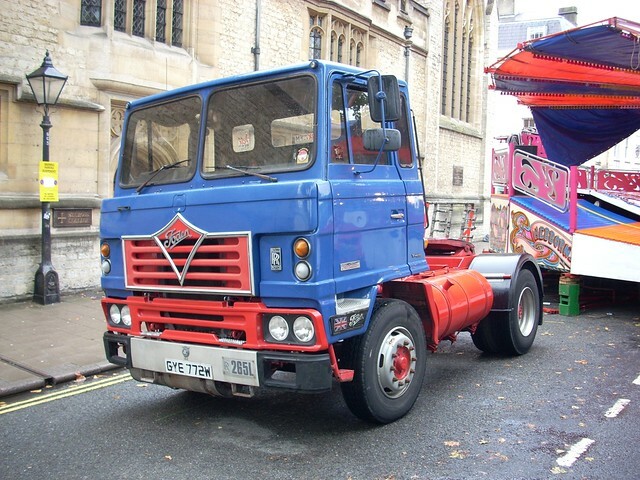 I wouldn't like to say Cavette but I was warned off buying it for swapping to a tractor unit it as a lot of old recovery stuff can be pretty shitey, you might be into the realms of swapping out all the brake actuators and shiz like that. 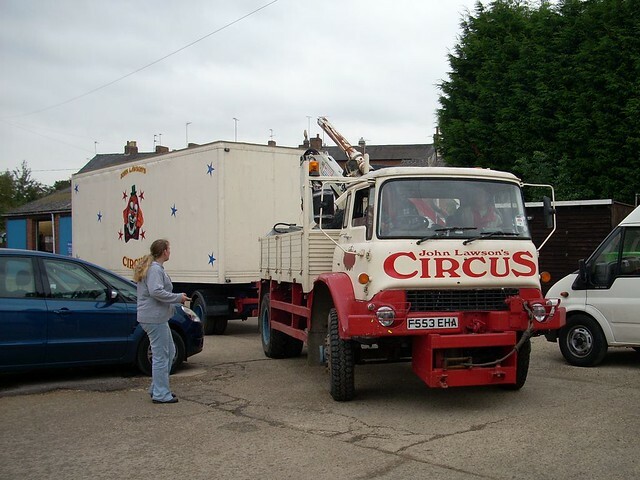 The fella did say it barked up alright and he used it in 'emergencies' and his other trucks were all pretty up together so it might be OK. Ã‚Â£2000 was mentioned if you fancied keeping the crane on it but that was a few months back. 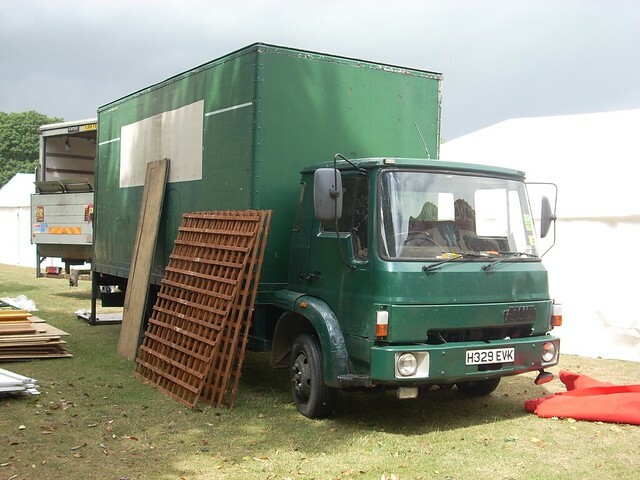 It could make a nice truck for shows and monging around in. The recovery firm's number is 01494 512955 if anyone fancies a punt. 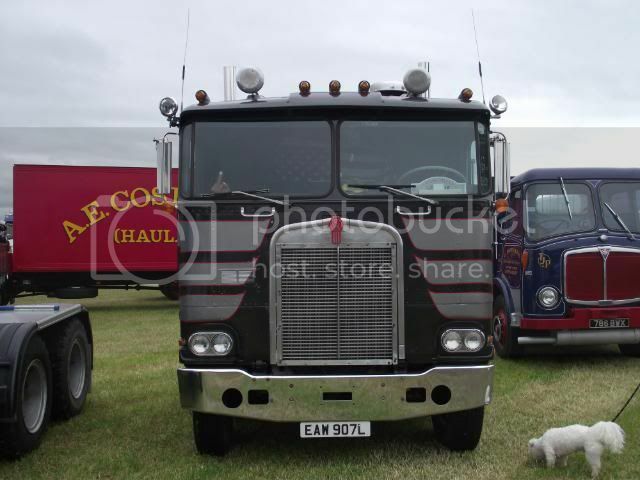 I did seriously consider it but it's a wee bit long to drop a fifth wheel on and if you look in the old truck mags there's units for not much more all ready to go, that 14 ltr lump would be nice though. 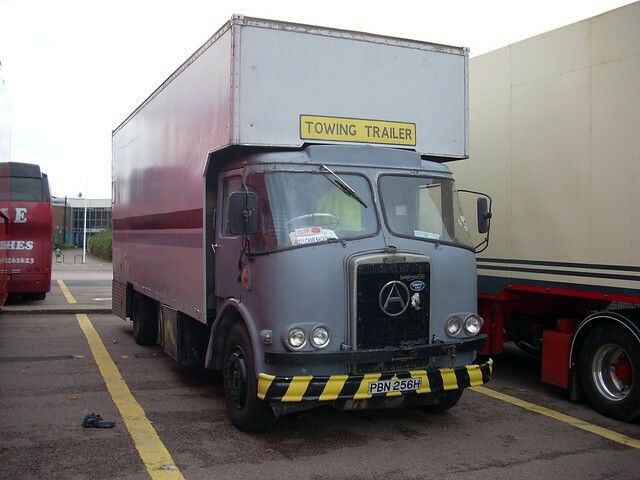 Cheers, wouldn't want one for actual haulage just something to razz about in for a laugh. Now this is a great thread, i'm loving it. 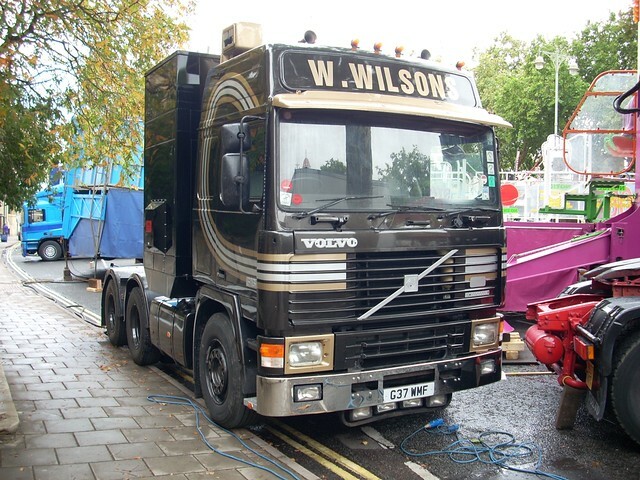 What does 'club of four' mean when applied to a volvo truck? 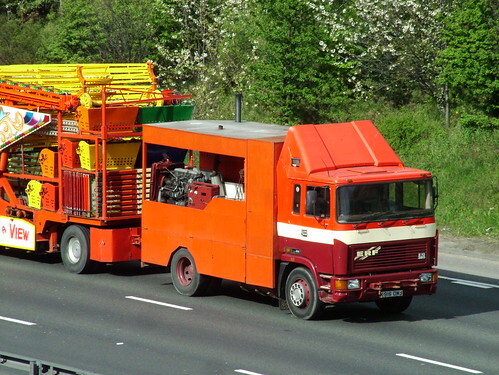 I thought DAF used it too but that might have been a different cab. 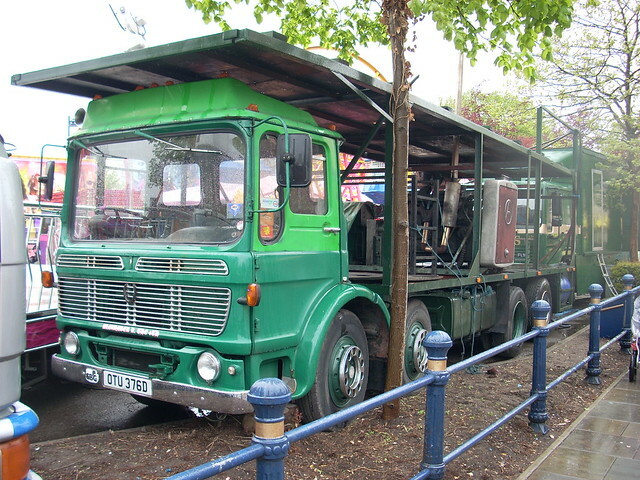 Daf was involved in the club of four but didn't actually utilize the cab on anything. 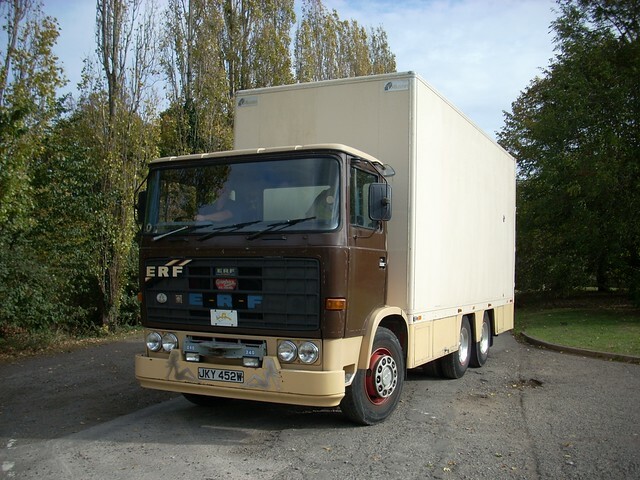 Could've sworn I saw a DAF with a Club of Four cab, similar size to that ikkle Saviem; Mack also used it in the States and possibly Australia. 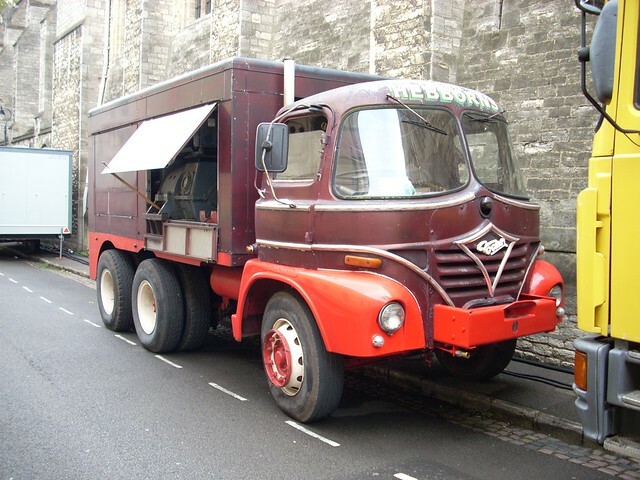 The 'Mystery Machine' is a Commer Commando,later to become the Dodge 100 Series. 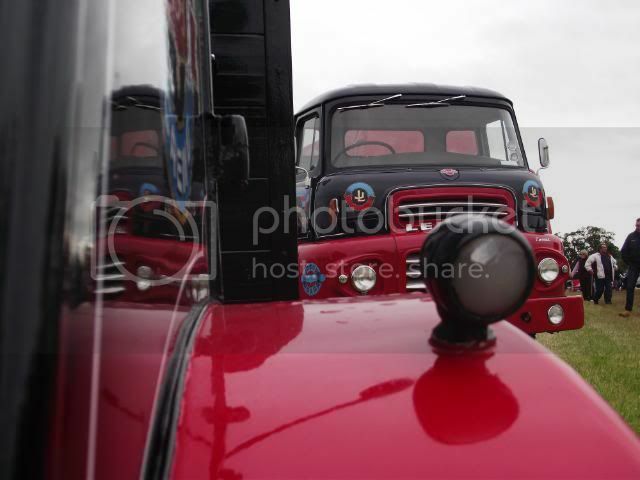 Club of four cab was used on Saviem/Volvo/DAF/Magirus-Deutz. 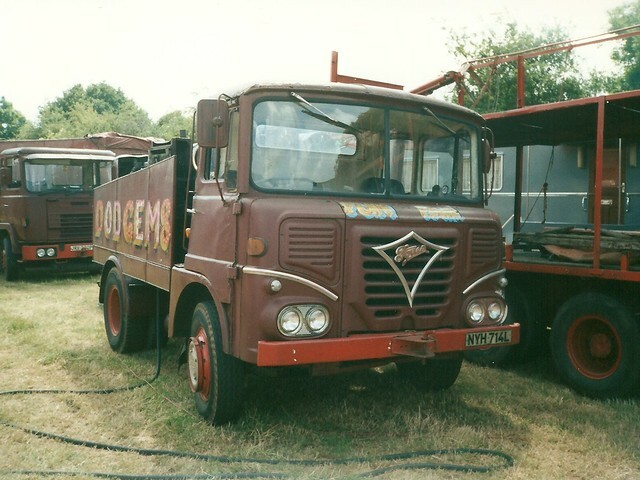 Local farmer still has a Saviem JK75 cattle lorry. 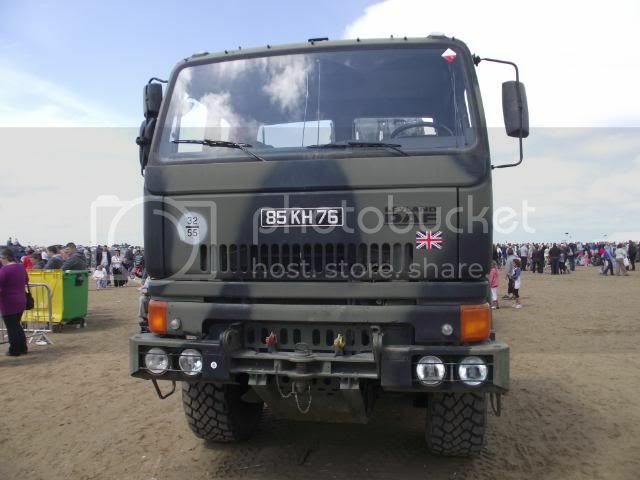 Deffo not a Commando, wheels are too small and the arches look home made. Merc badge seems to be a red herring. 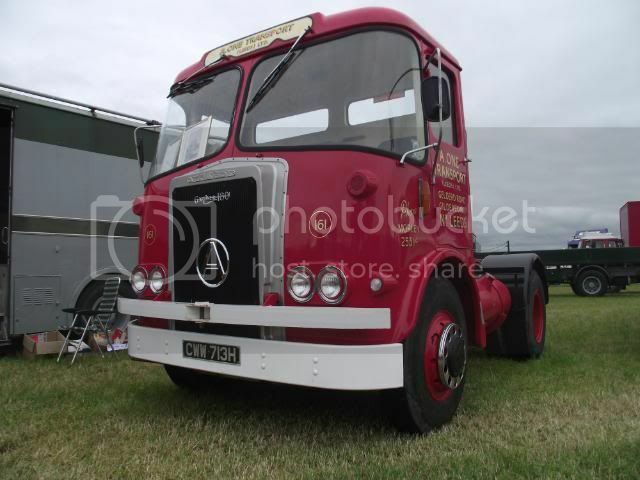 Best guess so far is a recabbed Commer BF.